Empaths share all the traits of what Dr. Elaine Aron has called “highly sensitive people,” or HSPs. These include a low threshold for stimulation, the need for alone time, sensitivity to light sound, and smell, plus an aversion to large groups. It also takes highly sensitive people longer to wind down after a busy day since their system’s ability to transition from high stimulation to being quiet is slower. Empaths share a highly sensitive person’s love of nature and quiet environments. You are especially attuned to other people’s physical symptoms and tend to absorb them into your body. You also can become energized by someone’s sense of well-being. You mainly pick up other people’s emotions and can become a sponge for their feelings, both happy and sad. Telepathic empaths. You receive intuitive information about others in present time. 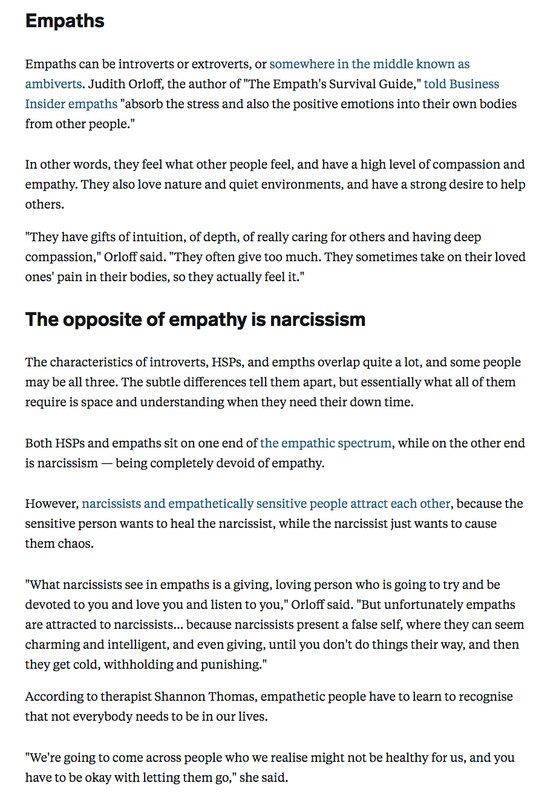 Precognitive empaths. You have premonitions about the future while awake or in dreams. Dream empaths. You are an avid dreamer and can receive intuitive information through dreams that helps others and guides your life. Mediumship empaths. You can access spirits on the Other Side. Plant empaths. You can feel the needs of plants and connect with their essence. Earth Empaths. You are attuned to changes in the Earth, solar system, and weather. Animal empaths. You can tune into animals and communicate with them. Empaths have diverse and beautifully nuanced sensitivities. You may be one or more of the above types. In future chapters, I’ll also discuss specific kinds of physical and emotional empaths such as food empaths (who are attuned to the energy of foods) and relationship and sexual empaths (who are attuned to their partner’s and friend’s moods, sensuality, and physical health). As you learn to identify your special talents, they can enrich your life and you can use them for the good of others. Physical, emotional, and intuitive empaths can have different styles of socializing and interacting with the world. 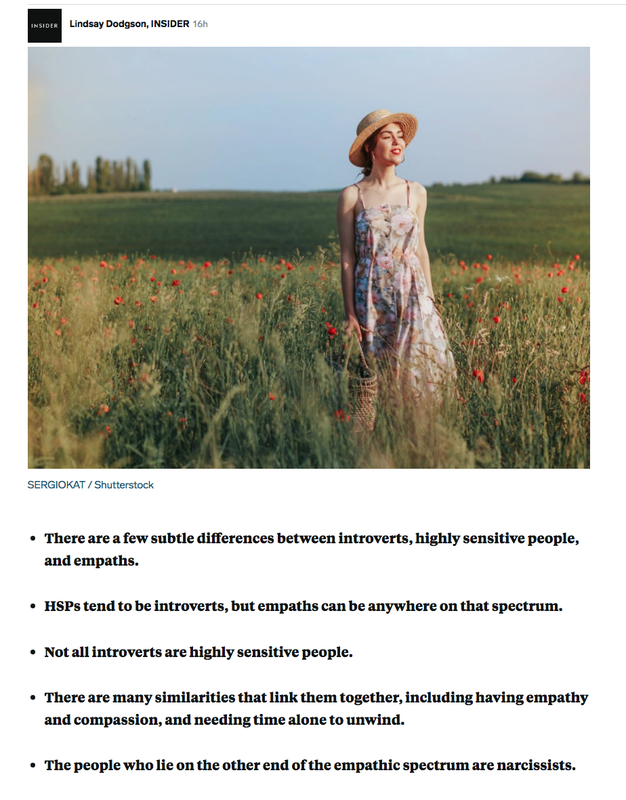 Most empaths are introverted though some can also be extroverted. Introverted empaths, like me, have a minimal tolerance for socializing and small talk. They tend to be quieter at gatherings and prefer leaving early. Often they arrive in their own cars so they don’t feel trapped or dependent on others for a ride. I love my close circle of friends and mostly stay away from big parties or gatherings. I also don’t like small talk, and I’ve never learned to do it, which is common for the introverted type. I can socialize in groups for usually two to three hours before I feel overstimulated. My friends all know this about me and don’t take it personally if I excuse myself early. 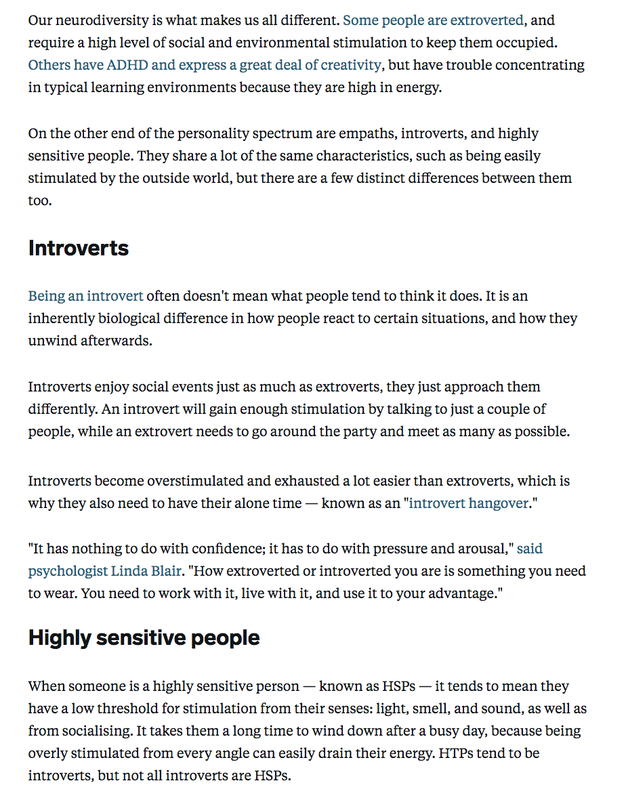 In contrast, extroverted empaths are more verbal and interactive when socializing and enjoy the banter with others more than introverted empaths. They also can stay longer in social situations without getting exhausted or overstimulated.